The Navy has resumed training flights after making modifications to the oxygen system that were allegedly poisoning pilots. However, some lawmakers have complained that the modifications do not address the root problems. 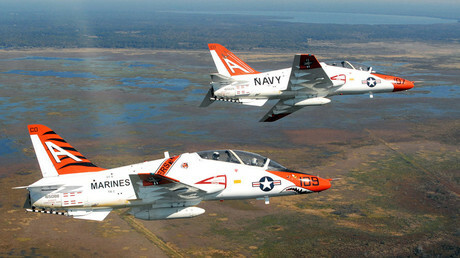 On Monday, the US Navy lifted the ban on 197 T-45 Goshawk jets, which are used to train future Navy and Marine fighter pilots. The jets have been grounded since April 5, when more than 100 pilots refused to fly the 30-year-old jets amid an increase in reports of oxygen poisoning coming from the onboard oxygen generator system (OBOGS). The Navy announced a three-day “operational pause” for the fleet of jets, which was extended on April 8 and continued until April 15, when Vice Admiral Mike Shoemaker, Commander of the Naval Air Forces, announced training would resume Monday under new altitude restrictions and with the use of modified equipment. “After briefings and discussions with our aircrew, their training wing leadership, the engineers, and aeromedical experts, we have identified a way forward to resume flight operations safely by limiting the maximum cabin altitude to below 10,000 feet in order be able to operate without using the OBOGS system," Shoemaker said. Shoemaker said that the Navy will be able to complete 75 percent of the scheduled syllabus flights with modifications made to the pilot’s mask and other equipment, which they claim will circumvent the problems from the jet’s OBOGS. Shoemaker said the temporary fix will only be implemented until a more permanent solution can be found. “This will remain our top safety priority until we fully understand all causal factors and have identified a solution that will further reduce the risks to our aircrew," Shoemaker said. The Navy has been working with outside agencies to investigate the root cause of the problem with the OBOGS, according to Shoemaker. 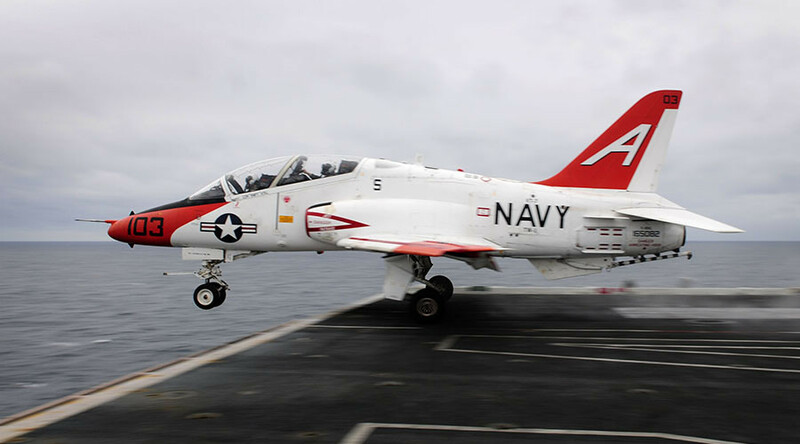 On Monday, Congressman Matt Gaetz (R-Florida) expressed concerns over the dangers of resuming T-45 flights in a letter to Shoemaker. "I remain concerned with the decision to lift the operational pause for the T-45 absent sufficient data from the examination of the On Board Oxygen Generating Systems with the T-45 Advanced Jet Training Fleet," Gaetz wrote. Gaetz says that the problem will not be solved by requiring the pilots to fly below 10,000 feet. "Obviously, there are scenarios they need to train for at altitudes above that. They need to train at up to 14,000 feet," Gaetz said, according to the Pensacola News Journal.